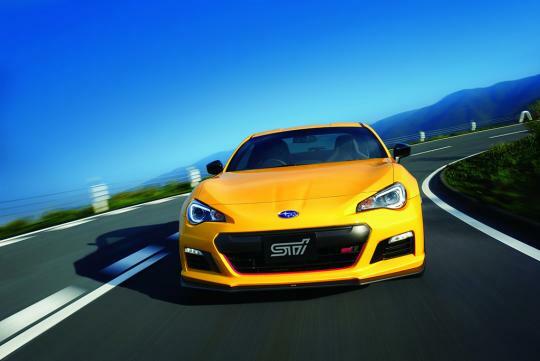 Subaru revealed the new BRZ tS that is fettled by STi recently and it comes equipped with many yummy STi parts. 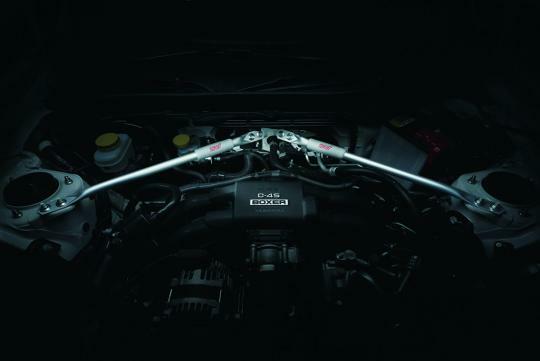 But sadly, nothing has been done to increase power output. That said, there is still quite a bit of good stuff on this car that will make fans of the car and marque drool. One of the more interesting improvements is the exclusive filter for the interior Sound Creator. 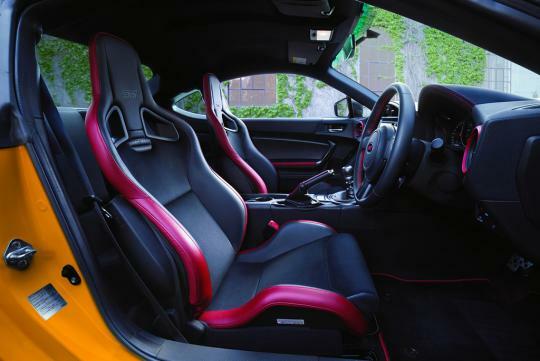 We aren't sure how that works but based on the photo above, the extra padding on the wheel housing and the dashboard seems like it was meant to lessen road noise! 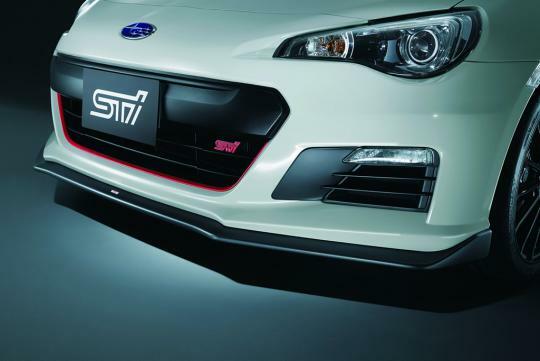 Elsewhere, the STI body-kit, complete with revised front and rear bumpers and sakura-red accents adorn the car. 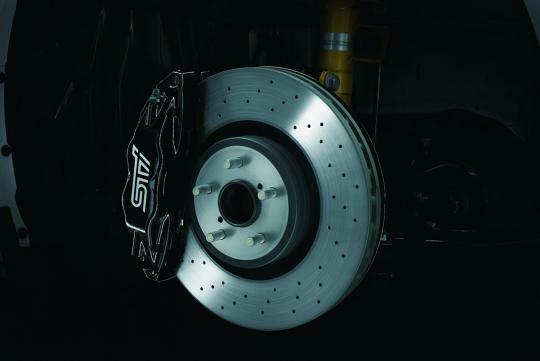 17-inch ventilated Brembo disc brakes by STI (front and back) feature and is covered by 18-inch STI-designed, black coloured alloys. 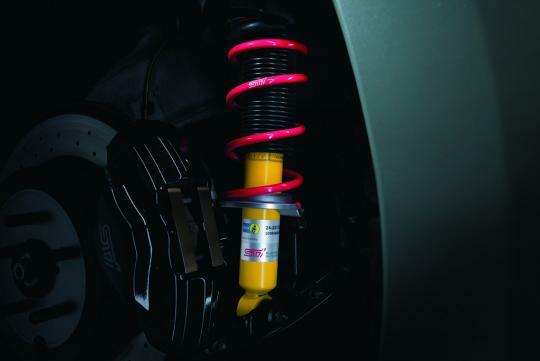 On the handling front, STi equips the BRZ with a STI-tuned, inverted-strut front suspension and modified rear damper - mated with STI coils and STI-designed lateral links. 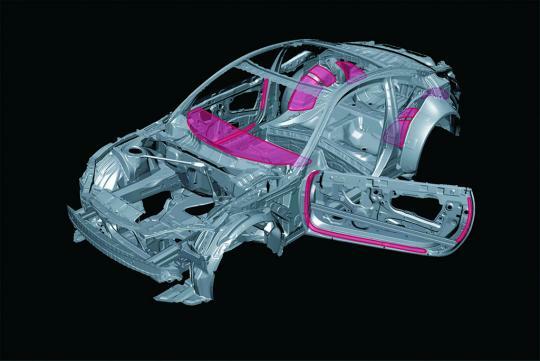 A flexible V-shaped bar and a draw stiffener strut at the front makes sure that the already stiff chassis doesn’t flex when cornering hard. A custom tuned Vehicle Dynamic Control (VDC) allows the pros to push the car harder before the car's computer intrudes. 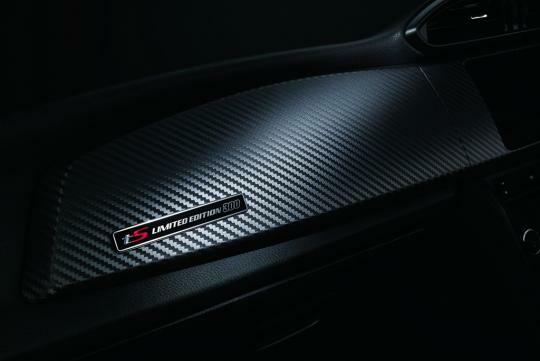 Inside, STI logos fill the car - from the custom STI push button ignition to the sakura-red ventilation grills and everything in between. It even comes with a 'tS Limited Edition 300' badge. Yes, this model’s production will be limited to 300 units and it will come in three colour choices: Sunrise Yellow, WR Blue Pearl and Crystal Black Silica. 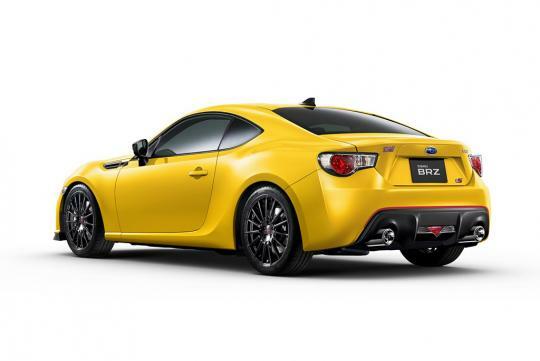 I recently test drove a manual GT86 (should be pretty much identical to the BRZ). The drive was a nice experience in so many ways (the weighting and ratio of the steering, the perfect pedal placement for heel-toe, the gearing, the crispness of the shifts, the weight of the clutch, etc.) except the power and torque. Simply put, the car was an absolute dog. Very, very slow. I can't even imagine driving a slushbox version of the car. It *needs* a power bump to be taken seriously. Otherwise, just buy a used Miata and be done with it. You get all the tossability at a fraction of the cost.